HOME AFFAIRS Minister Malusi Gigaba has to come out clean and tell if, Atul Gutpa is or not a South African? Come out clean. 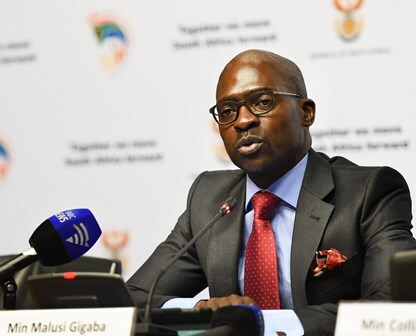 Minister of Foreign Affairs Malusi Gigaba, has to come out clean and deal with this dark cloud hovering over his head, on whether one of the Guptas’s has a SA passport, once and for all. This follows the #GuptaLeaks that exposed the passport of Ajay having been granted a South African passport, that has the country on its wits. 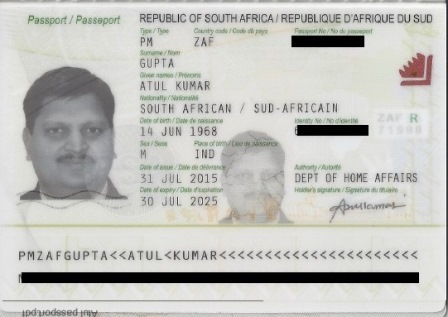 In response, Gigaba said on Tuesday said that both Ajay and Atul Gupta are not citizens of the country even though a copy of Atul’s South African passport was leaked in the famous #GuptaLeaks. And his spokesperson Mayihlome Tshwete has come out to defend his boss declaring “it is possible that Atul Gupta was granted South African citizenship but it was not through the minister” (an obvious reference to Gigaba). “It is possible that Atul has a citizenship but it was not through the minister,” he said. Asked if the minister was not certain about Atul Gupta’s citizenship, Tshwete said the department was not allowed to share such information, he was quoted by SowetanLIVE. “The law does not permit you to share private information of people but we are considering overriding that process,” he said adding that they are now considering briefing the public about the entire Gupta family. Where is the truth? This passport was leaked after denials from Gigaba and his spin-doctor. For Gigaba to earn the trust of his boss Pres Matamela Cyril Ramaphosa, the country and international community, he has deal with this cloud hovering over his head, finish & klaar…He has been there before and knows what and how should be done. The Foreign Affairs department is one of critical portfolios in the country and cannot afford this mediocre. If this persists our land will be turned into a banana republic with all sorts of criminals and fugitives making a meal out of it.